I love the idea of a snub nosed blaster and would love to get my hands on one of Rick Ross's wonderful kits. But since they are pretty rare, I thought I'd take a crack at designing and building one of my own. 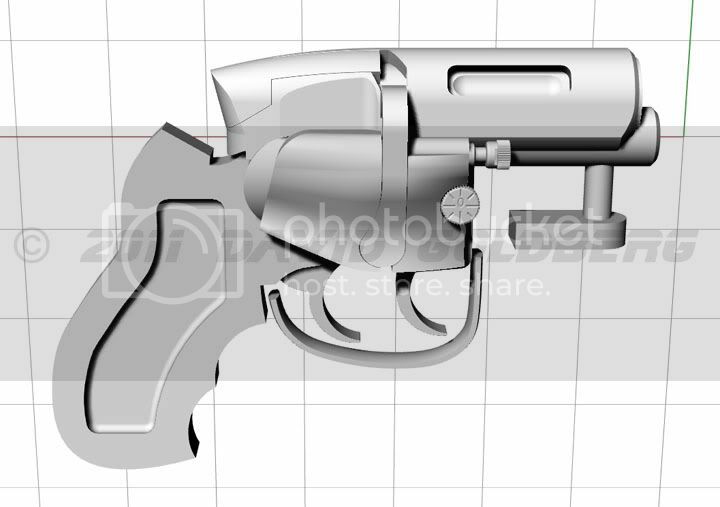 Rather than do a shorter or chopped version of the full size blaster I've decided to rescale and rework the classic blaster design around a smaller caliber, in this case a .38 caliber instead of the full size .44. This makes the weapon more in line with a traditional .38 snub nose that a detective today might carry as a concealed weapon, or back up piece. I started by drawing out a S&W J Frame 38 snub nose, then scaled down the Steyr receiver by about 83% to fit, and shortened it, of course. 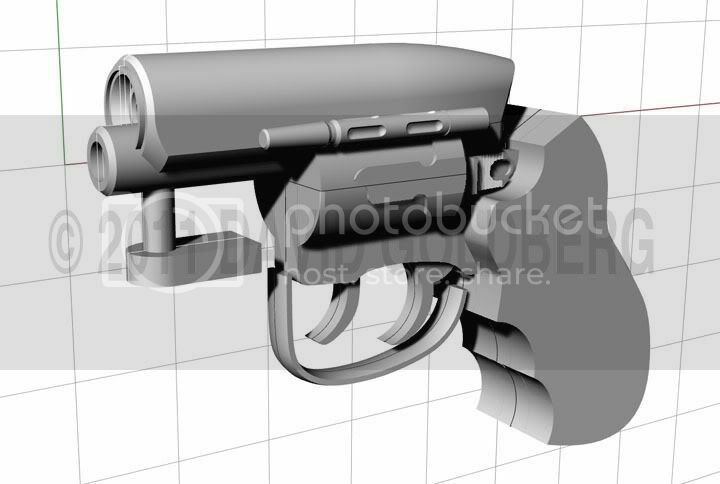 The idea is not to just scale down a full size blaster but rather scale some parts, and keep others full size, like the triggers, sight tube, binding post, etc. 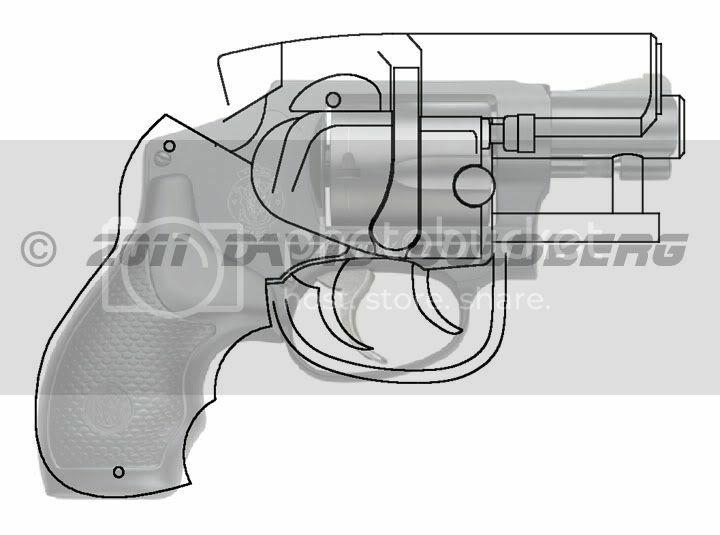 Some of the details on this gun will be taken directly from the hero, while others will be departures. This is to be an "artistic interpretation", inspired by the movie, and based on the same technology. Not a clone. 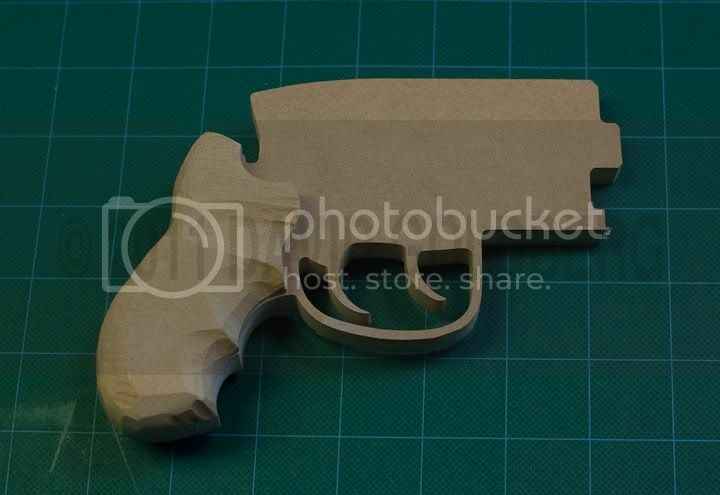 Working from a preliminary 2D drawing, I mocked up the basic silhouette of the gun with grips in MDF to see how it looked and felt. 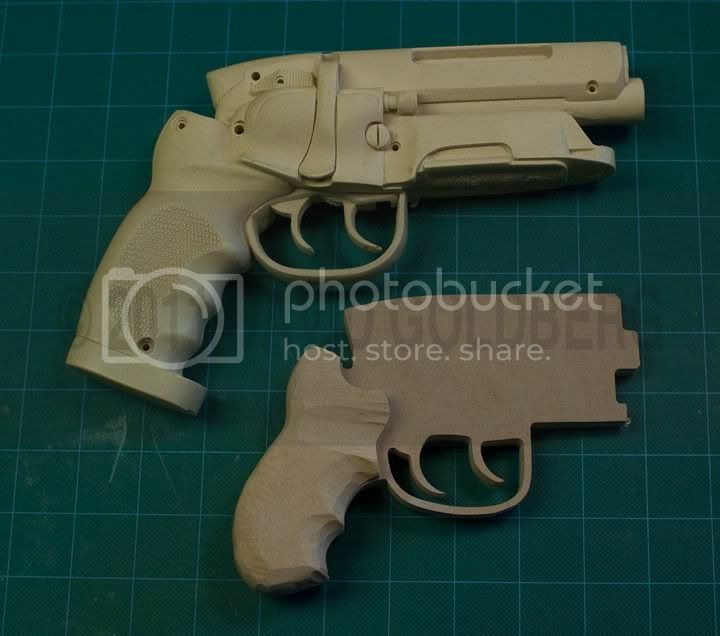 Here is the mockup of the snubby next to a stunt blaster casting for size comaparison. 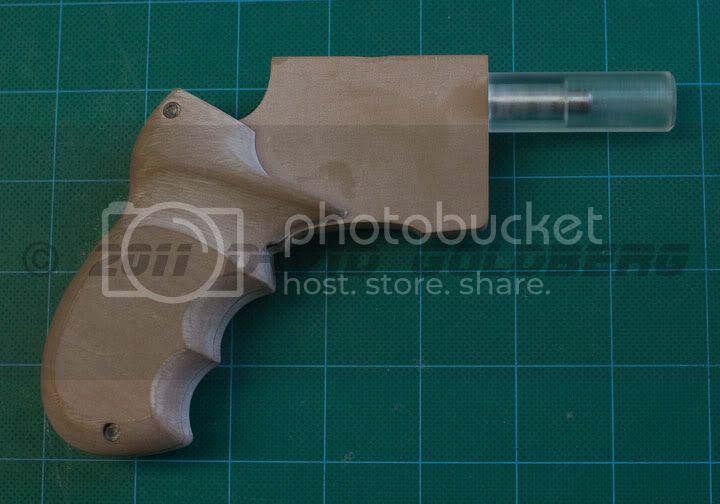 I decided the proportiona and feel of the mockup were pretty good, but added 1/8" to the width and length of the grips. 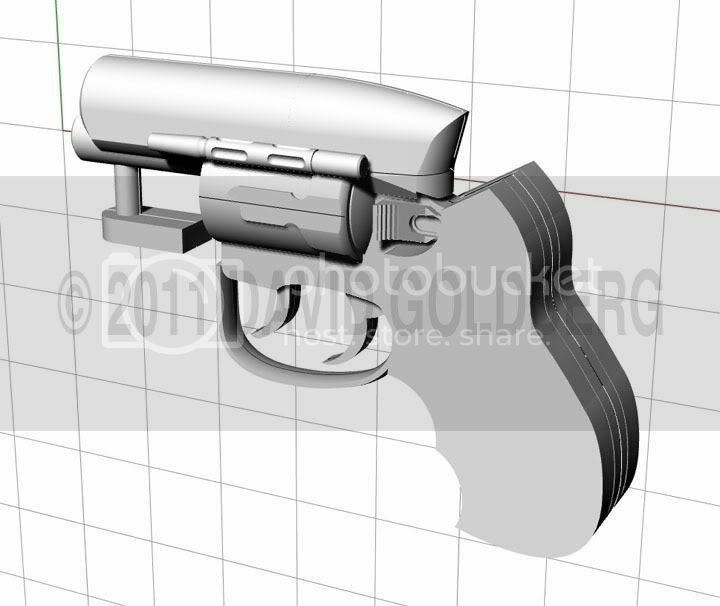 From there I started modeling the snubby in Rhino, a 3D modeling program particularly well suited for product design. Here are some, very, early renderings of the incomplete CG model. When designing and building props, I tend to go back and forth from the 2D CAD drawing to the 3D computer model to the real model, working out some things in pixels and other things for real. Here the grips are represented just by profile blocks, since I can sculpt them for real much faster than in the computer. I have not yet worked out the design of the ammo clip in front of the frame, but it will be something different than either the traditional blaster, or Rick's snub. 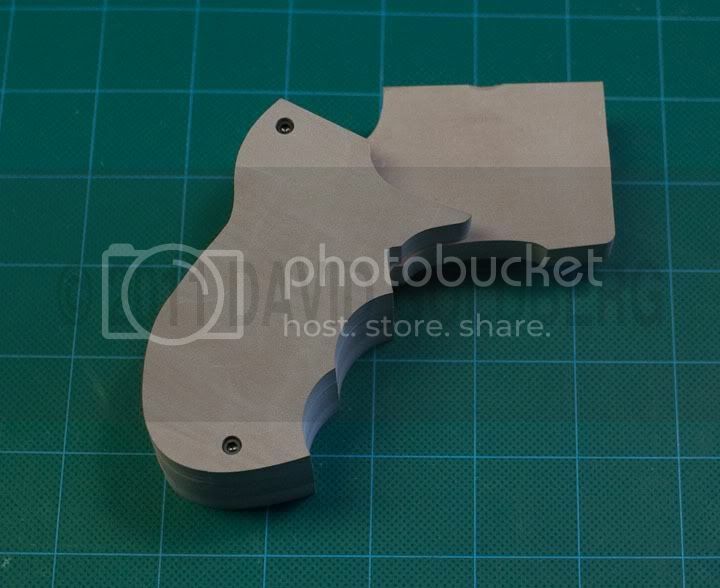 Likewise, the cylinder cover is not yet completely modeled. 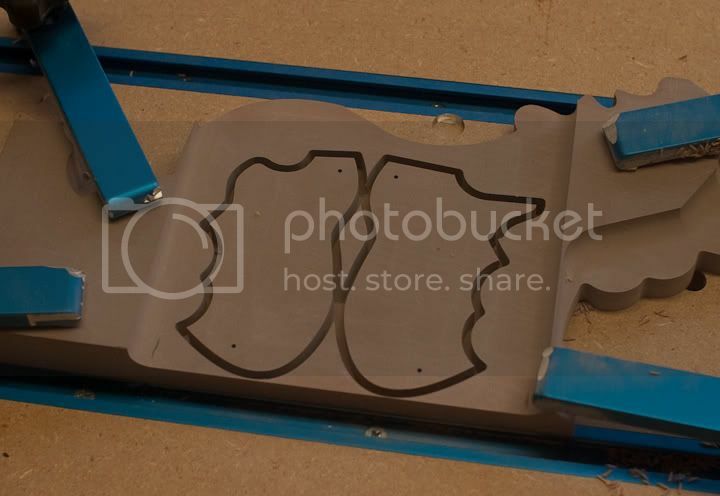 One of the great things about designing in Rhino is that the CG model can be used to create cutting files for the CNC router, which will be used for some of the pattern fabrication. Here are the basic frame and grip profiles, milled out of 40 pound urethane with the CNC. The grips were then shaped by hand, using a die grinder, rasps, files and sand paper. Here they are roughly formed and smoothed. After they have been finished to a high gloss surface (so the clear resin will finish clear) I will used the CNC router to add the checkering. And to answer the inevitable question... yes, I will be making kits available when this project is complete! "I just want to say people... Get A Life! Move out of your parent's basement! It's just a movie!" Awesome. Looking forward to your progress. I love watching the pros at work. I can't wait to see more. I couldn't have said it better!! This is going to be interesting, will keep an eye on it for sure. Excellent work Dave! Eager to see that baby finished of course, but also enjoying the process behind it all. I'm a sucker for compact handguns anyway, but I really dig the BR snubbies! It's exciting to see someone doing a new one! The grips looks very cool. I don't have enough blasters! Looks great! I can't wait to see it finished. I, too, like the more stylized grips. It is time for a fresh look. Here is a comparison of my snub nose with the Smith & Wesson. Overall length is about 6 1/4 inches. 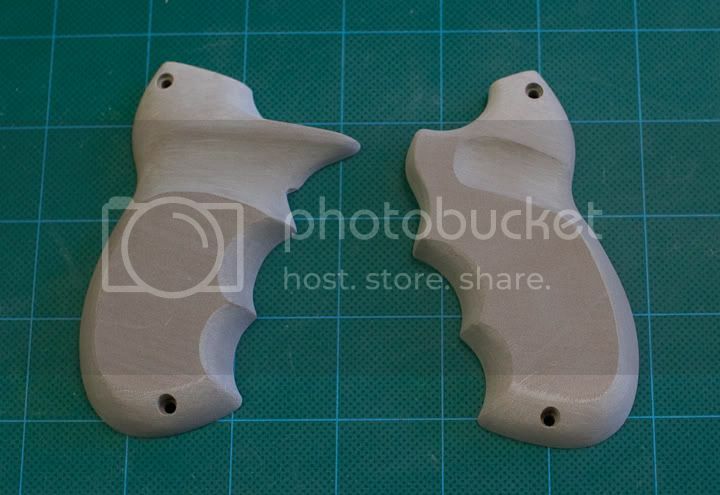 Here are the sculpted grips attached to the frame. 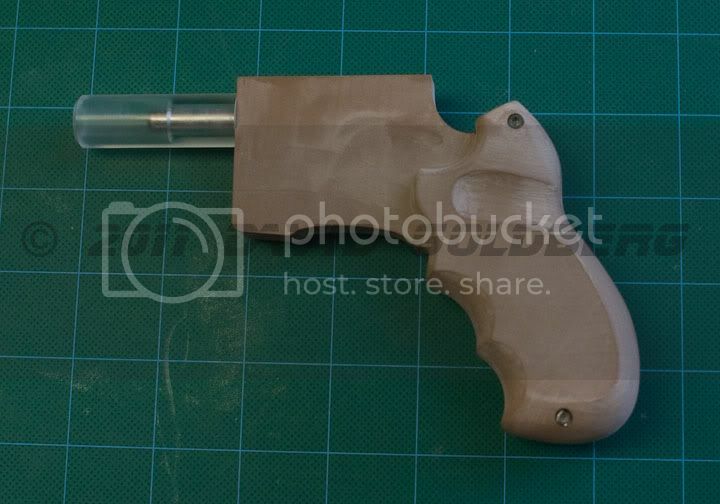 The pattern for the barrel was turned from acrylic rod. Very interesting stuff. Can't wait to see more. Hollywood is the only industry, even taking in soup companies, which does not have laboratories for the purpose of experimentation. I like the way your mind works Dave. Thanks! Unfortunately it looks like I won't be able to continue work on the patterns for a month or so. Gotta go on location for a movie. 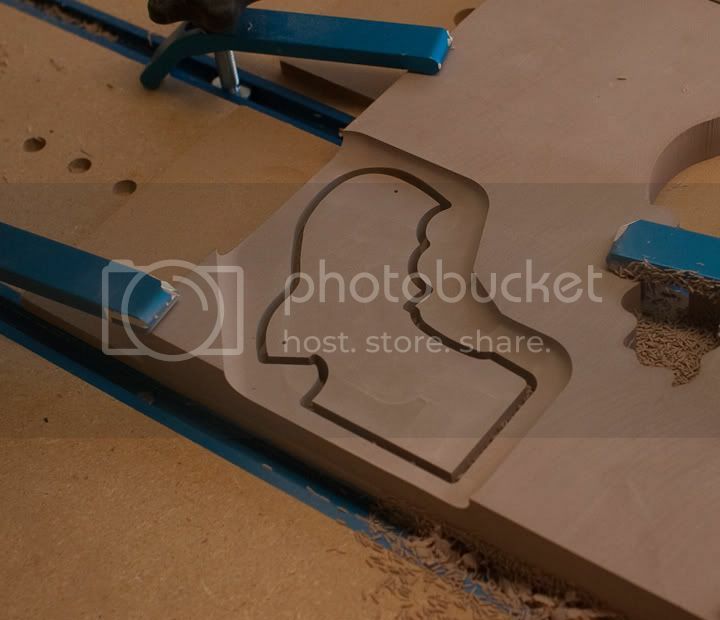 It'll take me away from my shop, but I will still continue working on the design in the computer. Cool. Can I ask what movie? I'm curious too Dave, what dept. are you in? I'm a camera guy. I work as a visual effects supervisor. I'm going on location for The 3 Stooges, directed by the Faraley Brothers. I look forward to seeing more of your talented work, Dave. THREE STOOGES, HUH? I must have missed the cast calling for Curly... i would have been a shoe in! I can continue to work on the design in the computer. Here is the partially done right side. The bolt lever and cover are rough forms. I will probably mill out the rough forms and then refine them by hand. Ammo clip is still to be designed.